It is that time of year again when Apple releases a new iPhone. However, this year Apple did something a little different. Instead of an iPhone 7S naming scheme, they opted to name this year’s iPhone the iPhone 8 and skipped the S version completely. Really there is not much difference between the iPhone 7 and the iPhone 8. Major changes include wireless charging capability and an all new glass back design. This year there are 3 colors to choose from. 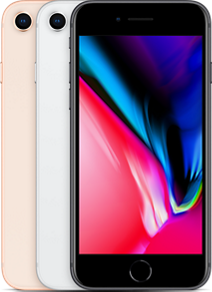 A new Pink color that they called Gold, space gray, and silver. Also you only get 2 size options this year. 64GB and 256GB. Now onto the list of iPhone 8 part numbers that I have found so far. If you happen to know more model numbers for different countries or you are unsure about information on yours, drop a comment below. If you know part numbers for the iPhone 8 in different countries please contact me or leave a comment below and I will try and update the list. Thanks!